Behind The Scenes Video For Blumhouse’s HALLOWEEN Within! It is around five months until the world will be seeing Jamie Lee Curtis return to the screen as Laurie Strode, who comes to her final confrontation with Michael Myers, the masked figure who has haunted her since she narrowly escaped his killing spree on Halloween night four decades ago. Master of Horror John Carpenter is executive producing and serving as creative consultant on this film, as well as providing the score for the film. Carpenter joins forces with cinema’s current leading producer of Horror, Jason Blum. Inspired by Carpenter’s classic, filmmakers David Gordon Green and Danny McBride crafted a story that carves a new path from the events in the landmark 1978 film, and Green also directs. The official trailer arrived arrived not long ago, and today we bring you a special video from Sunrise TV that goes behind the scenes and interviews star Jamie Lee Curtis. The new HALLOWEEN will be produced by Malek Akkad, whose Trancas International Films has produced the HALLOWEEN series since its inception. Green and McBride will executive produce under their Rough House Pictures banner. Judy Greer will play Strode’s daughter Karen, with actress Andi Matichak in line to play the granddaughter of Laurie Strode named Allyson. 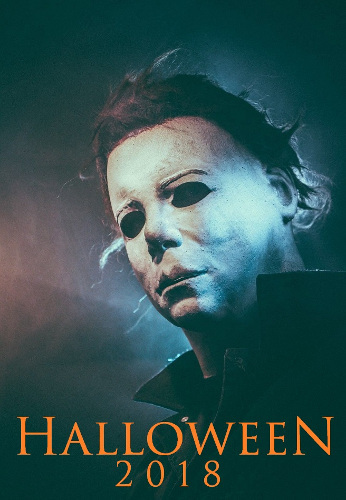 The man that played Michael Myers/The Shape in the original film, Nick Castle, will be reprising the role in the new HALLOWEEN sequel. Rob Niter and Will Patton will play officers of the law, and Rhian Rees is said to play a character in the movie named Dana. Other cast members include Virginia Gardner, Miles Robbins, Dylan Arnold, and Drew Scheid as Allyson's classmates. Diva Tyler will play a caretaker. The new HALLOWEEN film is set to hit theaters on October 19, 2018. We will continue to keep you updated on all things HALLOWEEN.